I woke up this Christmas morning to a few inches of fresh snow, with more falling. Ideally, I should have ventured out to catch a bucolic, show scene, but the timing was not right. We had too many peasants to wrap and a Christmas Brunch to attend. The Brunch was at our friend’s home — a 20 year tradition. Also a 20 year tradition, is our friend’s growing collection of creepy Christmas dolls. They adorn every corner of her house during The Season. Taken at a distance, they are actually quite nice, depicting scenes from classic Christmas stories like The Nutcracker and A Christmas Carol. But up close? Well … They’re a bit creepy. 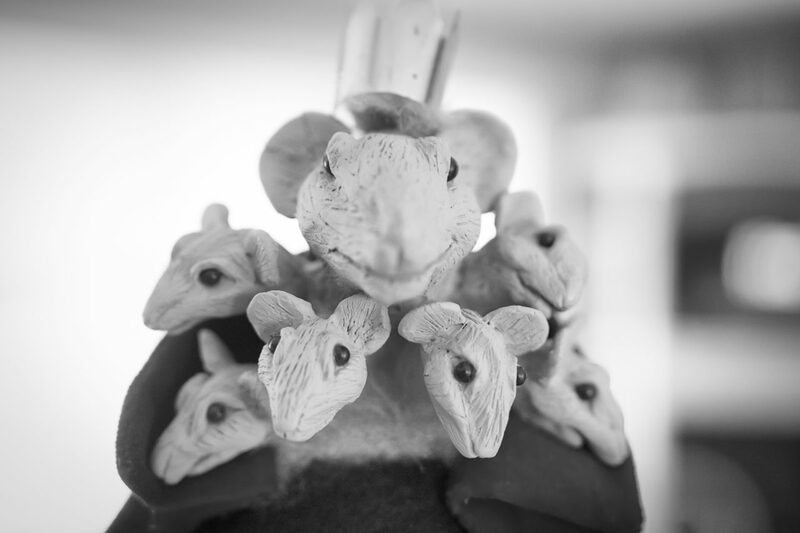 Above is The Rat King from the nutcracker. Below is an animated GIF of a bunch of the others screaming in agony.